To some women the new word “make-up” may only mean the application of powder, or powder and rouge, or perhaps powder, rouge and lipstick. 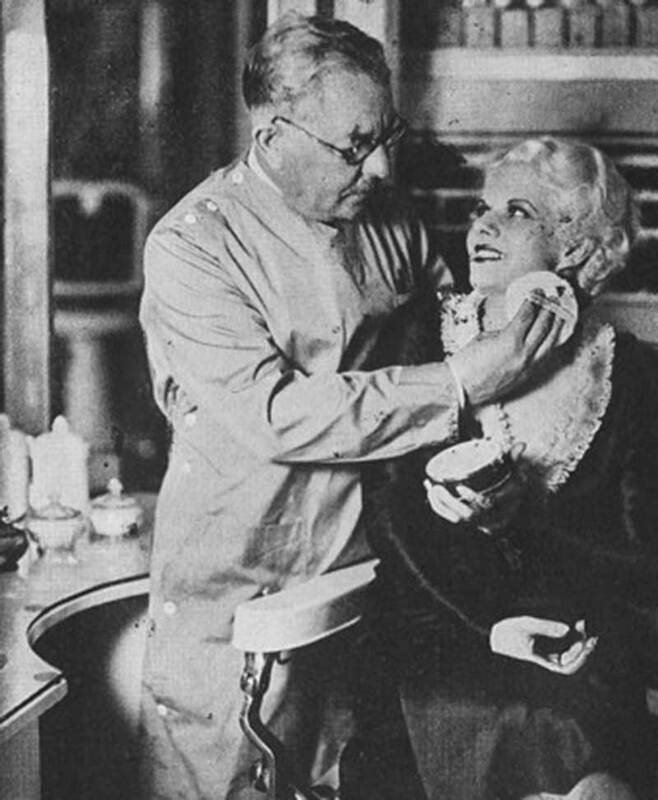 To others, make-up may only mean the theatrical use of cosmetics. Neither impression is correct, and both have therefore resulted in the wrong use of cosmetics by thousands of women. 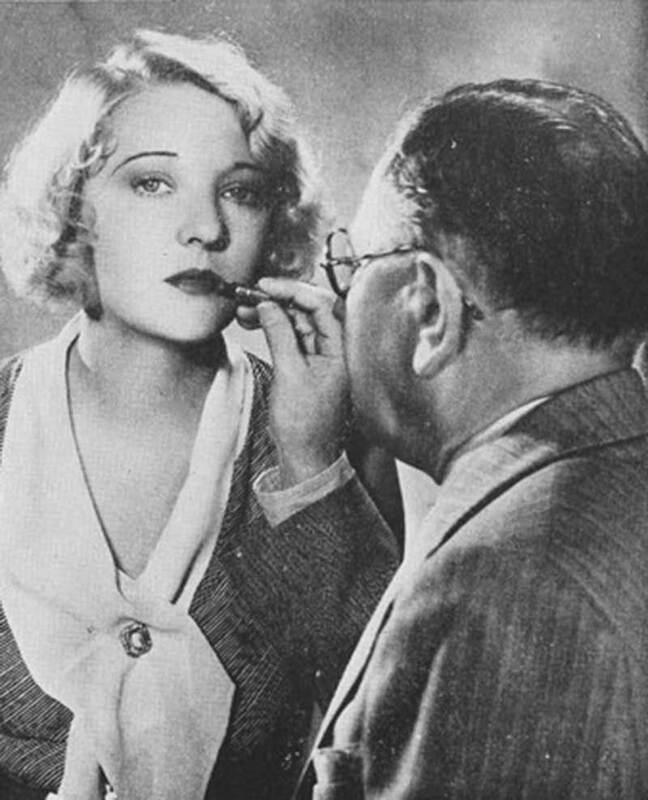 The expression “paint and powder” and the criticism of a “painted” appearance may also be attributed to the wrong understanding and the incorrect use of make-up in the 1930s. 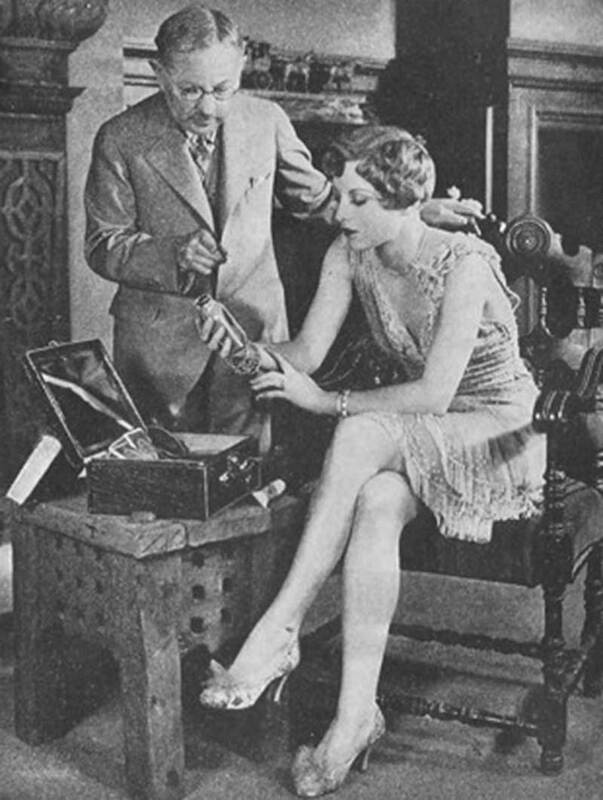 Too often the purchase of cosmetics is influenced by the shape of a box or the perfume, without consideration being given to color-harmony and the individual complexion. Too often powder does not blend with the color of the lipstick, and therefore the total effect is inharmonious and detracts from natural beauty. 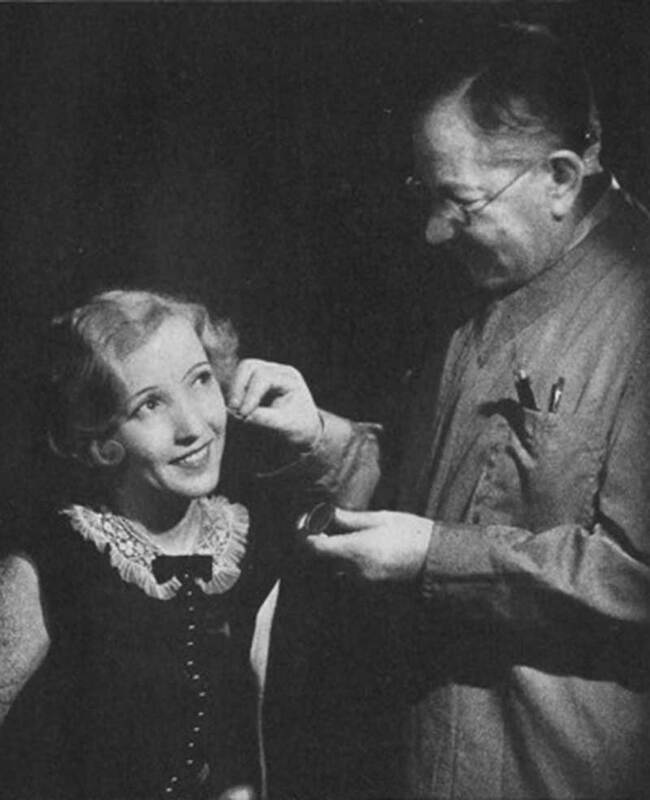 Learn the art of 1930’s makeup with these rare 1930 makeup manuals ! ever noticed, for each essential of make-up blends perfectly into the harmony of color and becomes a natural part of the vision of loveliness. To accomplish this effect is easy if you know what constitutes make-up; if you learn the correct method of make-up; and if you select the correct color harmony to blend with your natural complexion. 1. Make-up requires that each feature which adds to beauty must be considered individually and as part of the harmonious whole. The face, the eyes, the lips, the neck, the arms, the hands, the hair – each should be beautified. 2. Make-up should not be used in a haphazard fashion, but should be applied according to certain well-defined principles of art and cosmetic science. 3. All cosmetics used must be in perfect harmony with the individual complexion, or else they will clash, producing an unnatural, even grotesque effect! These facts we learned here in Hollywood, not in a day, a week, or a year, but over a period of twenty years. Personally, I have made up thousands of faces, I have advised with hundreds of the leading stars, and from this wide practice and experience I have perfected cosmetic color harmony together with a perfect make-up method which thousands of the most beautiful women in the world endorse as perfect. We know that beauty can be individually doubled through the art of scientific make-up, for we have proved it thousands of times in movies. You, too may expect the same gratifying results if you follow the advice I give. The basis of make-up is color harmony, for color harmony is the basis of all that is beautiful. We know this in the picture industry. Beauty, such enviable beauty that millions adore, is our goal, and we gain it, regardless of cost, through study, science, experiment and art. Perhaps you make up your eyes. Few women do, and we in Hollywood wonder why, for, as a famous poet has said, “the eyes are the windows of the soul.” Your eyes, properly made up, will appear larger and more brilliant, and will increase the magnetism of your personality. 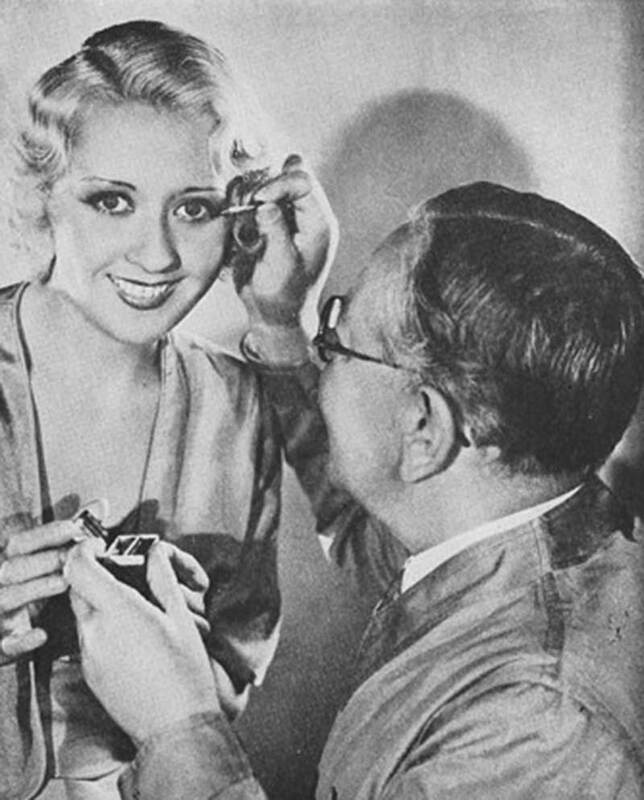 Make-up for eyes includes three essentials. Eye Shadow, which is applied to the upper lid, to give the eyes added depth and expressiveness and to harmonize the area about the eye with the rest of your make-up. Masque, to make the eyelashes appear heavier and longer and to accentuate the colorful beauty of the eyes. The Dermatograph pencil, to give the eyebrows a more pronounced shape, to bring out their color and to impart to them a soft sheen. You may also outline the eyes to give them that all important “cat eye” look so synonymous with feminine beauty. You may have marveled perhaps at the rare beauty of the eyes of the screen stars. So do as they do ! Make up your eyes correctly and you will be overjoyed with the added beauty you will gain. Thanks to Cosmetics & Skin !